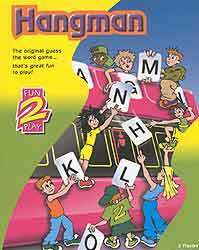 A neat travel game of hangman! Letters are stored in a case and displayed on the rack when an opponent guesses correctly. One wrong guess and the slider moves along to show the image of building up of 'hangman'.